Fantastic first reading with Thomas! It’s nearly Easter – and all the trains are making themselves clean and shiny for the festival parade. 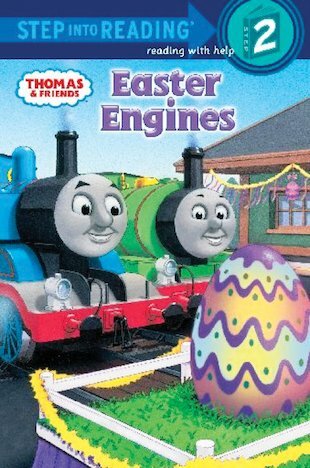 But when Sir Topham Hatt gives Thomas a special job, he is soon busy rolling decorated eggs down the railway tracks! A delightful spring-themed story to boost reading confidence and ability, with fantastic full-page colour pictures and a simple but exciting text. Drawing young children into Thomas’s railway world, it’s the perfect way to tempt them to read on their own.